This feels nostalgic, doesn’t it? In 2012, we had to help put an end to the “Save Miku” madness that had no foundation… But this time, in 2018, there is a serious threat to Crypton Future Media, and the name of Hatsune Miku. For some time now, a fake Hatsune Miku channel has been allowed to exist on YouTube by the name of “MikuHatsuneVevo”. We confirmed early on with communication with Crypton Future Media that this channel was indeed fake. It is not owned or operated by any official Crypton employee or entity. What is laughable is how they put bogus copyright info in the video descriptions, such as “© 2018 VOCALOID, a division of Sega, Inc”. 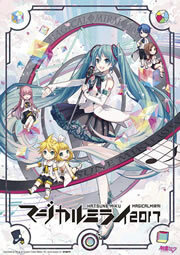 We all know that Vocaloid is owned by YAMAHA, not SEGA. Worst of all, the channel somehow gained a “verified” status, again, despite being fake. At this point, the channel was growing at an accelerated rate, and its subscriber count is now nearly 600,000, and surpassed that of even the official Hatsune Miku YouTube channel (530,000). It has many Vocaloid and Hatsune Miku fans convinced that the channel is legitimate when it is not. They are also stealing various copyrighted works as their own, and making massive profits from them. How Can This Hurt Miku? The channel has a lot of power, despite being fake. It is already being used to spread fake information on copyright ownerships and supposed “official” mashups, such as the Sand Planet feat. Nicki Minaj video. With that kind of power, whoever is operating the channel could upload content potentially harmful or disastrous to Crypton Future Media’s image, and their respective properties. In this case, Hatsune Miku. This is something that should be prevented. Crypton Future Media has already tried to take action by reporting the channel with a Trademark complaint, but YouTube is once again blundering and seemingly ignored the claim. After conversing with Crypton, it’s clear what we as fans can do: We can help report the channel for impersonation. And the more reports there are, the more likely YouTube will start paying attention! After submitting the two links, there’s also an option to select videos from the impersonating channel. We selected the recent “Decade” video for this example. Finally, YouTube asks you to provide an explanation for your report. 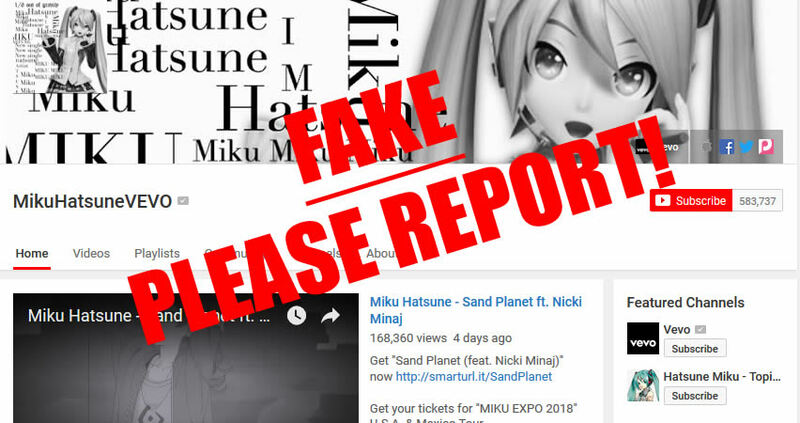 Our report was worded along the lines of “Crypton Future Media, the respective Trademark holders of Hatsune Miku, filed a report against this channel, and YouTube ignored it. We, the users of YouTube, are taking action and assisting with reporting this channel for impersonation“. However, please use your own wording, so YouTube doesn’t think the submissions are by a bot! What is CFM Doing About This? After the failed YouTube report, CFM is now investigating a direct report with Vevo. But this takes additional time, and this take-down process has already been going on for a while. In the meantime, reporting the channel for impersonation is something that we, the fans of Hatsune Miku, can do to help! Let’s finally get YouTube to act and take the fake MikuHatsuneVevo channel down once and for all.